Tomorrow it will have been two years since I started writing this blog! 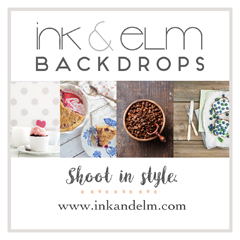 Throughout all the recipe testing, photo shoots, baking successes and failures, and trying to start a baking business, I'm still just having fun with all of it, and keeping up this space for the love of what I'm doing. So to celebrate I've made a cake and homemade ice cream. There was a cake that my family used to make several times every summer that I looked forward to like no other cake. We simply called it Strawberry Shortcake, although it was not a shortcake in the technical sense, since there were no biscuits or mini cakes involved. 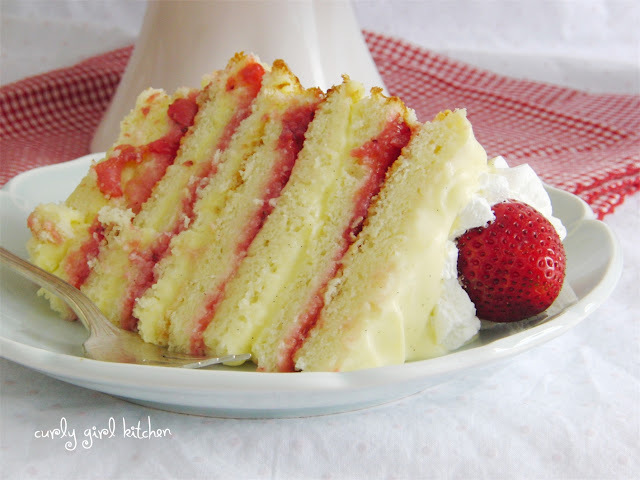 This cake my family loved so much was a simple yellow cake, sliced into 3 or 4 layers, then stacked with Cool Whip and sliced strawberries. We refrigerated it for a little bit so that the cake would absorb the moisture of the cream and berries before eagerly cutting it into generous pieces. It was simple and yummy. 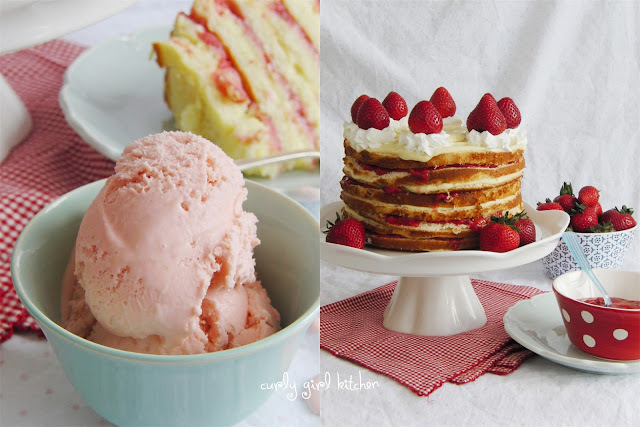 Icebox cakes have been making a comeback in recent years from their retro popularity, and I've seen many that are quickly made with layers of graham crackers or cookies, instant pudding and Cool Whip. Easy and tasty, I'm sure, but I wanted to make something a little more adventurous. 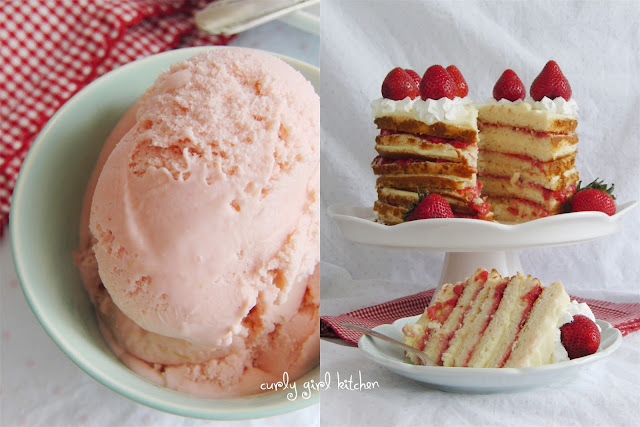 To recreate the flavors of that cake that I loved as much as I adored my favorite Strawberry Shortcake Doll, no pre-made items would do for what I had in mind. Since I planned on slicing the cake into many thin layers, a soft, fluffy white cake wouldn't work at all, so I used one of my various recipes for pound cake baked in round cake pans. The firm, dense texture of pound cake is ideal for slicing into thin layers, and the perfect base for absorbing the delicious flavor and moisture of the filling. 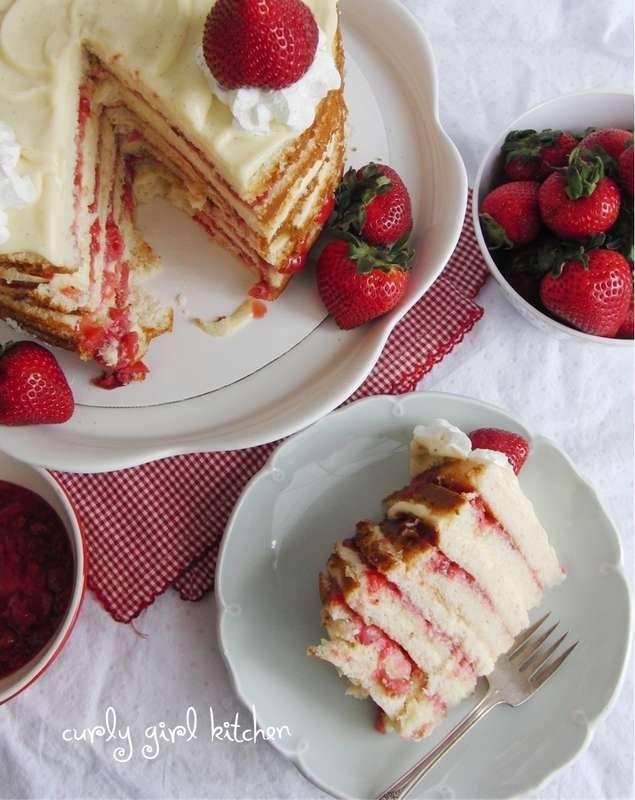 To fill all those layers of cake, I made creamy vanilla bean custard and fresh strawberry jam filling, which I alternated between each cake layer. After chilling the cake to let the flavors come together, I topped it all off with lightly sweetened whipped cream and more fresh strawberries, with little bowls of the extra vanilla custard and strawberry jam on the side. Sometimes I really like the look of a "naked" cake (no covering of buttercream). Just rustic and simple, with the focus on the flavors. 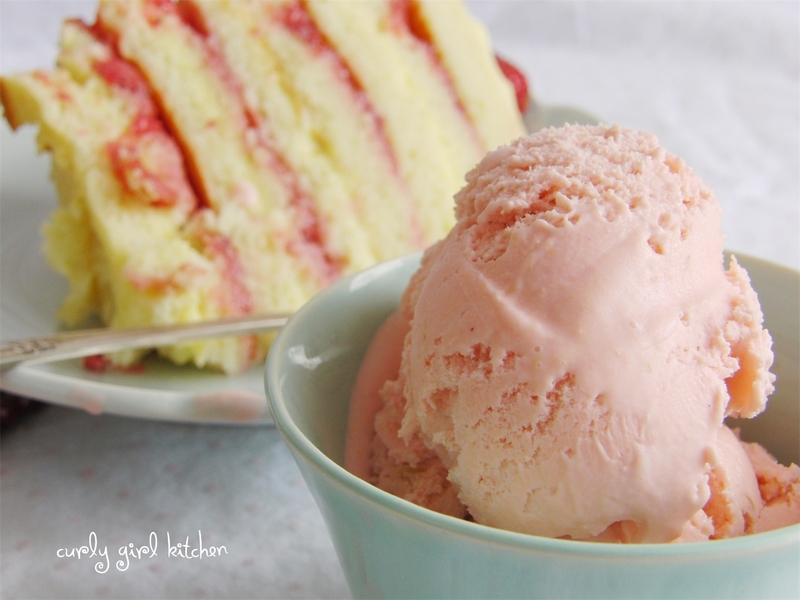 How amazing would this cake be with fresh, in-season peaches, too? 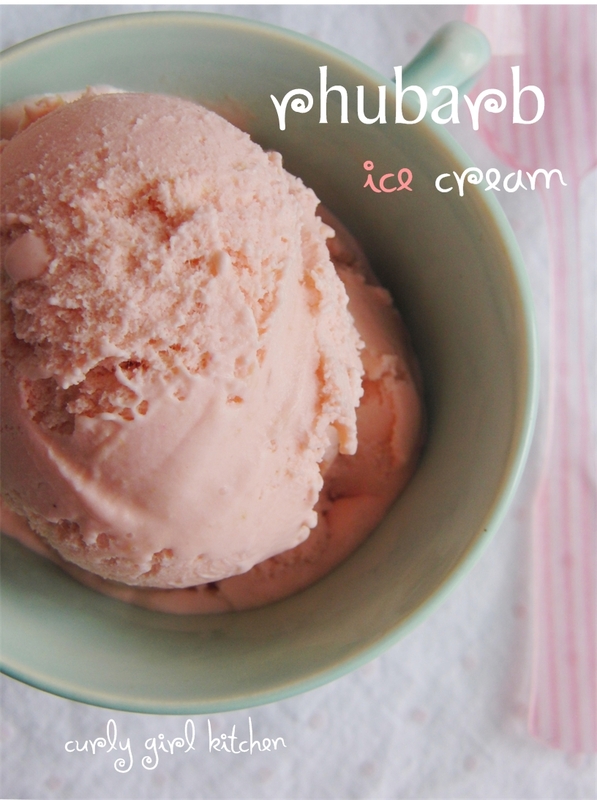 And to complement the cake, I made fresh rhubarb ice cream. The ice cream almost didn't happen, because I had a terrible time that evening trying to find rhubarb, either fresh or frozen, but at the fourth grocery store, I finally found some fresh rhubarb that didn't look like it had been sitting there for a week. I simmered the rhubarb on the stove with some sugar and a little butter, then pureed it in the blender until thick and smooth. Then I whisked the puree into an egg-based ice cream custard with a little vanilla, and chilled it overnight. 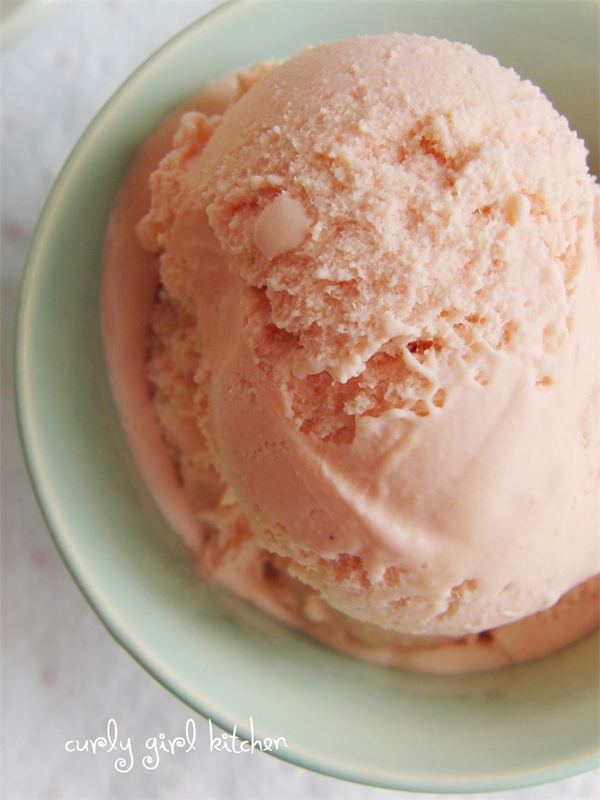 When I churned the ice cream the next morning, I sneaked a few spoonfuls of it while it was at soft-serve consistency, and it was so smooth and creamy, pretty and pink, with a nice balance of sweetness for the tart rhubarb. In a saucepan, melt the butter over medium heat. Add the rhubarb and 1/2 cup sugar. Simmer for about 10 minutes, stirring occasionally, until the rhubarb is juicy and soft. Let cool for a few minutes, then pour into a blender and puree until smooth. Set aside. In a clean saucepan, combine the cream and milk. Bring to a gentle simmer over medium heat, just until the cream begins to bubble around the edges. In a bowl, whisk the egg yolks together with the remaining 1/4 cup sugar. Slowly stream a cup of the hot cream into the egg yolks, whisking them constantly to temper them. Scrape the egg mixture back into the cream. Continue to whisk constantly while cooking the custard over medium heat, for about 5-8 minutes, until thick enough to coat a spoon. Remove from the heat and pour the custard through a fine mesh strainer to remove any bits of cooked egg. Whisk the rhubarb puree and the vanilla into the custard. Cover with plastic wrap, right against the surface of the custard to prevent a skin from forming, and refrigerate until very well chilled, preferably overnight. Churn the chilled custard according to the manufacturer's instructions of your ice cream maker, then transfer to a container and freeze until firm, about 4-6 hours. Preheat the oven to 350. Spray the bottoms of three 8-inch round cake pans with non-stick spray, line with parchment paper, then spray the paper as well. In the bowl of your stand mixer fitted with the paddle attachment, beat the sugar, cream cheese and butter on medium speed, scraping the bowl occasionally, until light and fluffy, about 3-4 minutes. Beat in the eggs and the vanilla. In a separate bowl, combine the flour, salt and baking powder. With the mixer on low speed, add the flour mixture in three additions, alternating with the milk, starting and ending with the flour, mixing just until moistened. Divide batter between the pans and bake for 28-30 minutes, until the center springs back when gently touched and a toothpick comes out clean. Cover the pans loosely with clean kitchen towels and cool completely on wire racks. In a saucepan, combine the strawberries, sugar, corn starch, lemon juice and water. Simmer over medium low heat, mashing the berries a little, for about 15 minutes. When the berries are very juicy, increase the heat to medium. Bring to a boil and cook for 2-3 minutes, stirring constantly, until thickened like jam. Remove from the heat and stir in the vanilla. Cover and chill thoroughly. Remove the cooled cakes from the pans and peel off the parchment paper. 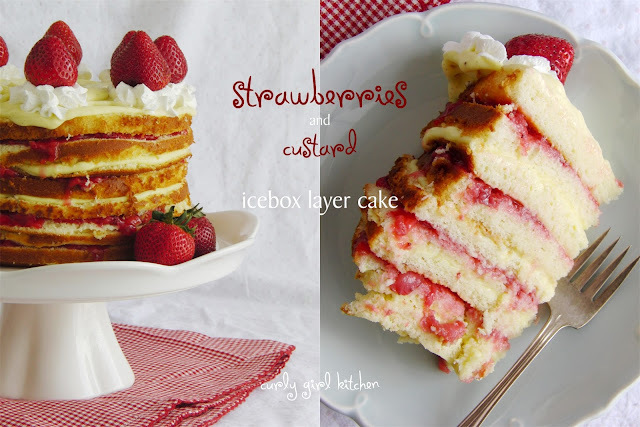 Using a sharp knife, slice the cakes into several thin layers - the more layers the better. (I sliced each cake into 3 layers, for a total of 9 thin layers). 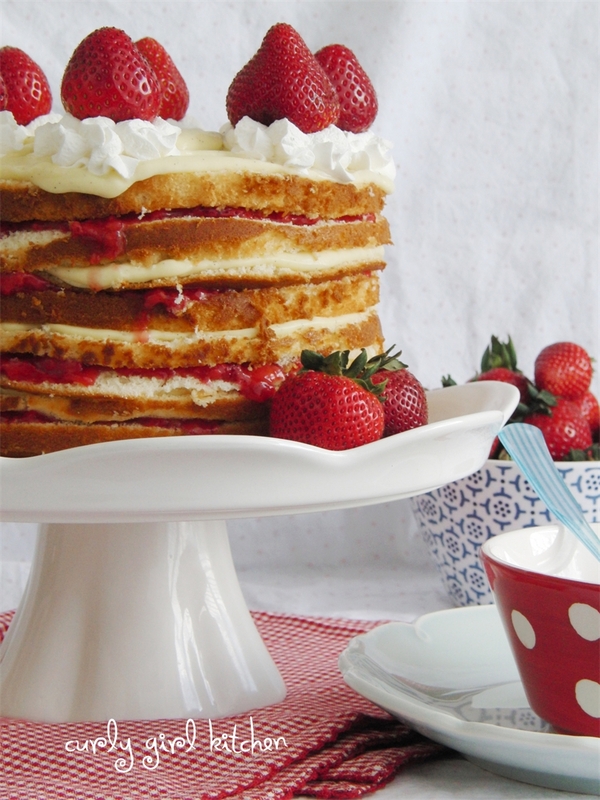 Place a layer of cake on a cake board or serving pedestal. Spread with a thin layer of the chilled vanilla custard, right to the edge of the cake. 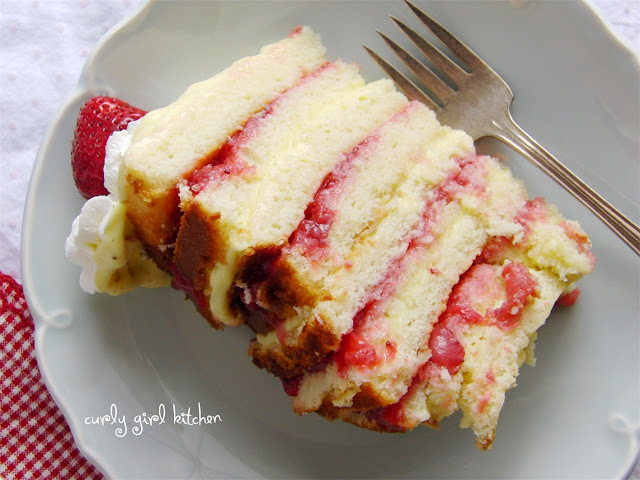 Place another layer of cake on top and spread that one with a thin layer of the strawberry filling. Repeat with the rest of the cake layers, custard and strawberry filling, alternating the custard and strawberry filling with each layer. 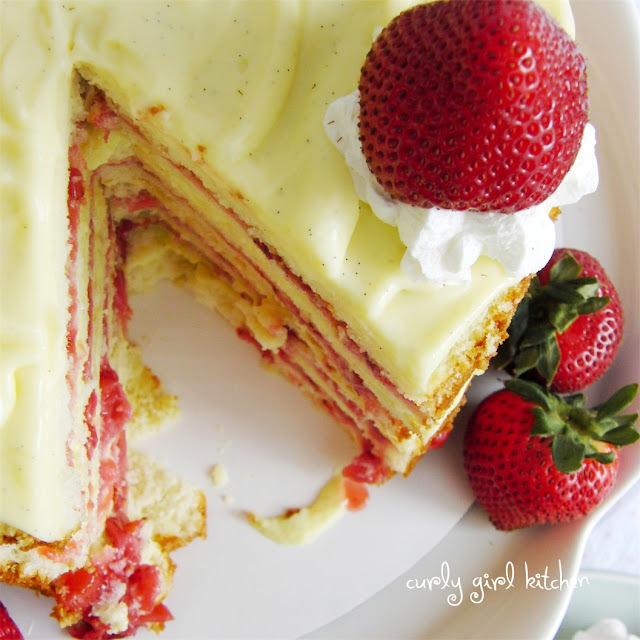 Cover and chill the cake for 1-2 hours, so that the cake absorbs the moisture of the custard and strawberry filling. Before serving, garnish with freshly whipped cream and strawberries. If you have any leftover custard or strawberry filling, serve that on the side.